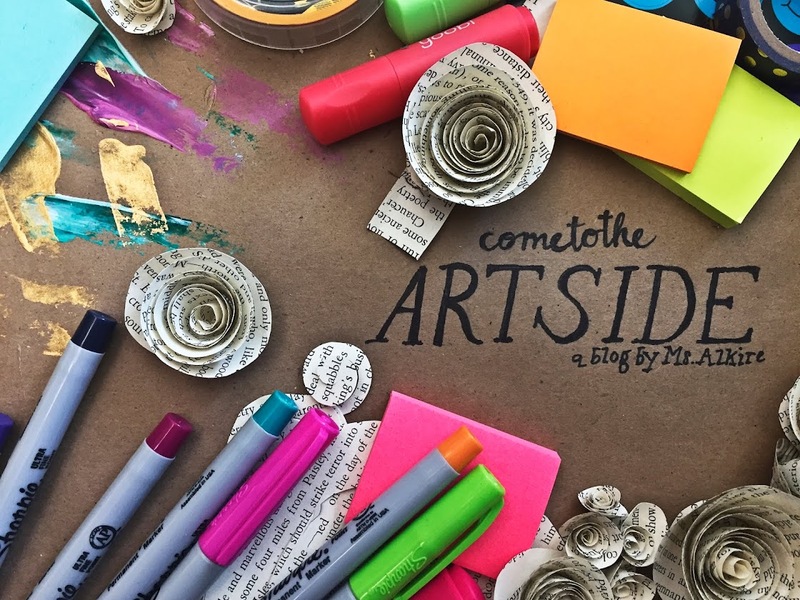 come to the Art side: Monday Mayhem: Required Work. Good or Evil? Monday Mayhem: Required Work. Good or Evil? 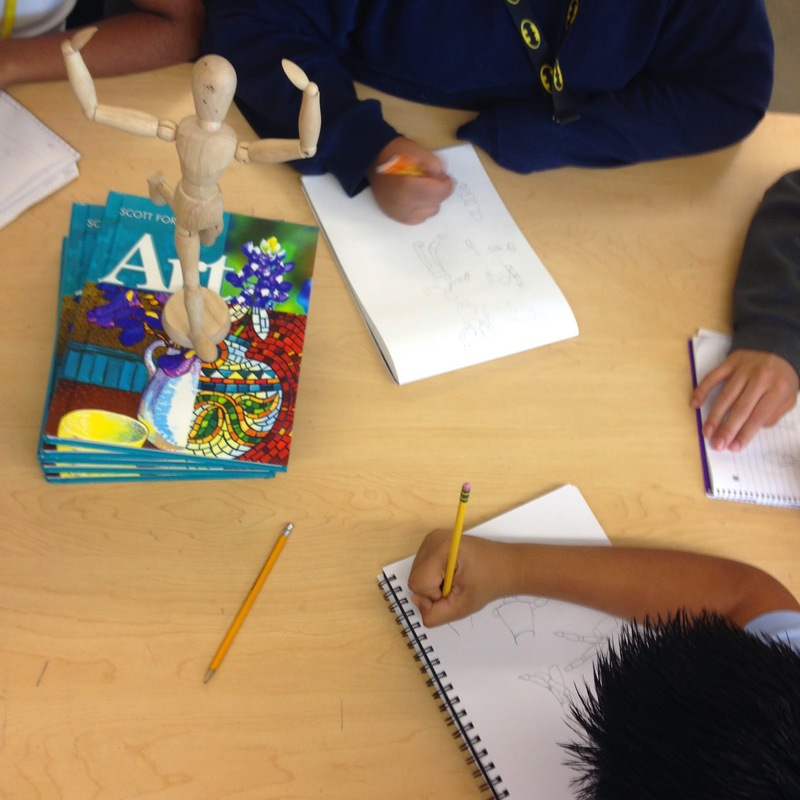 Every year in our district we have several district wide requirements as art teachers. Disability Awareness Poster contest, Symphony Orchestra Theme Artwork, Winter Art Show Theme, Spring Art Show....plus everything in between! Doodle4Google, Dart Transportation Poster Contest, one year we were selected to do a Poster Contest for Oncor Energy! So many! The themes for our art shows change every year as well as the Symphony theme so there is always something new to be created. 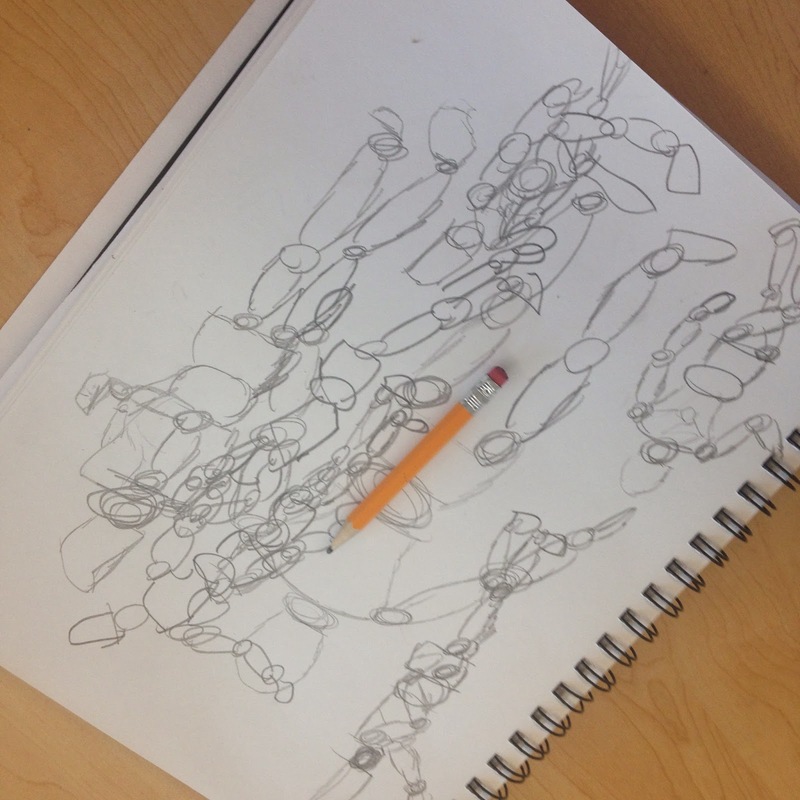 On one hand it keeps me on my toes as an art teacher! On the other hand...sometimes it can be taxing to pause the flow of curriculum and insert this or that into my plans. It's a double edged sword so to speak! This years Symphony art theme was our song The Mexican Hat Dance! So we listened and watch some videos of folkloric dancers dancing to the song. We talked about the origin of the song, which is pretty interesting by the way, and the history behind it and its meaning. 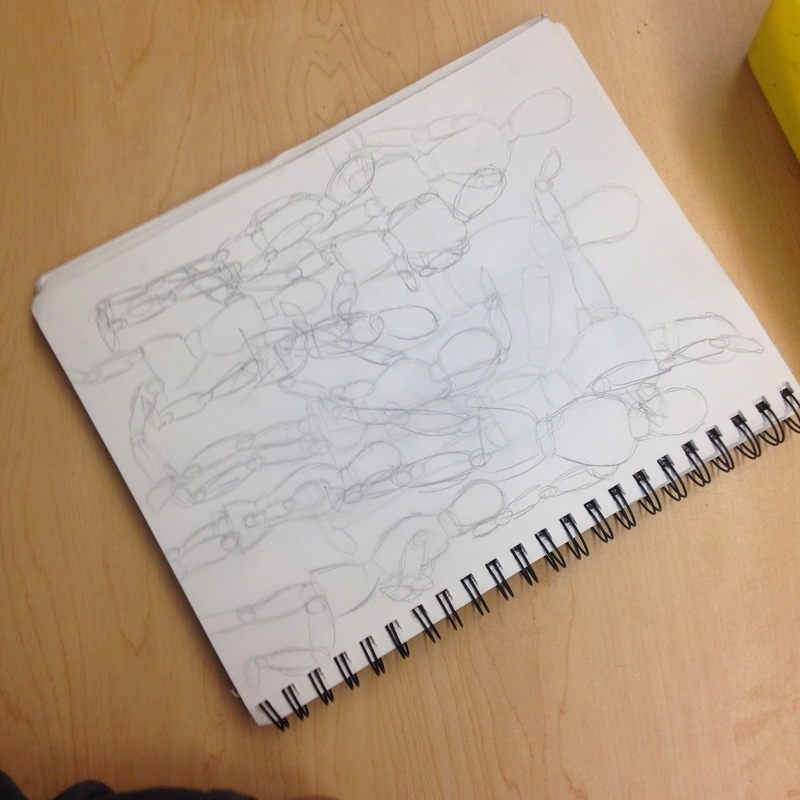 We then did some timed gesture drawings of our drawing mannequins, progressed to gesture drawings of our friends, and then using our mannequins to pose and create detail for our dancers. I did a timer for 2 minutes x 4, then 1 minute x 2, then 30 seconds, then 15 seconds. 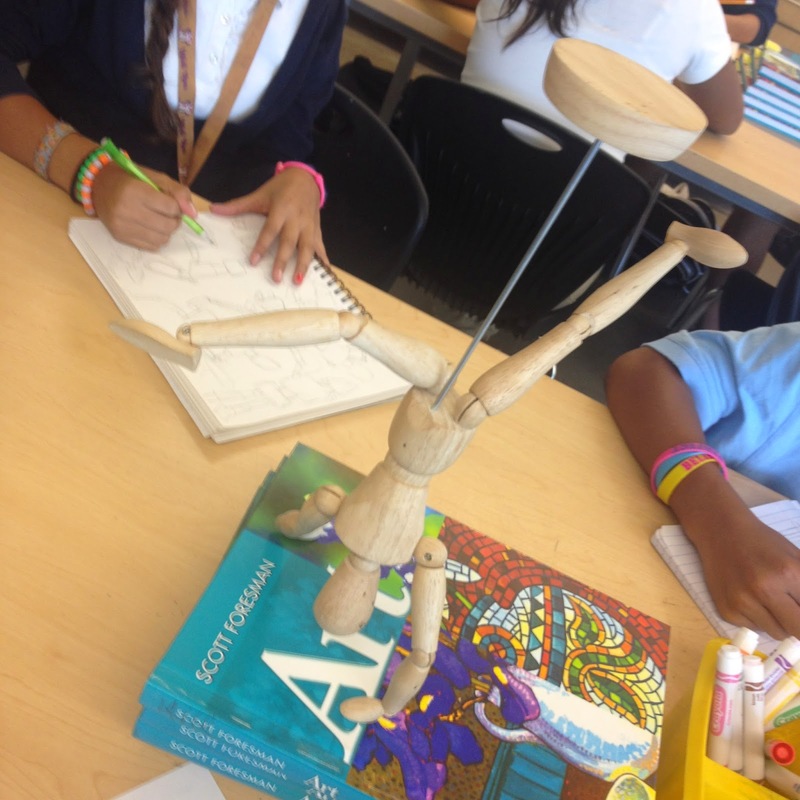 It was a really fun and frustrating for some of my students! A full page of sketches! I don't know how they did it, but it was really amazing! 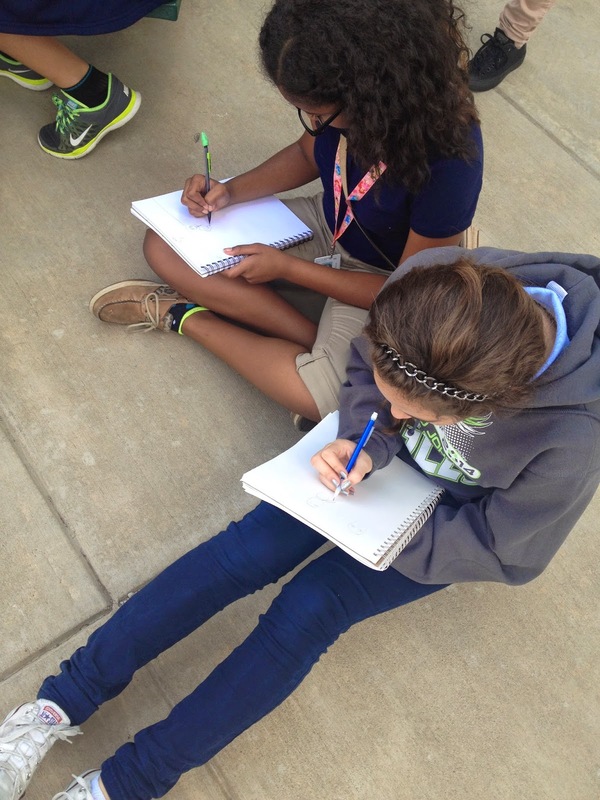 Outside on our porch sketching our classmates! 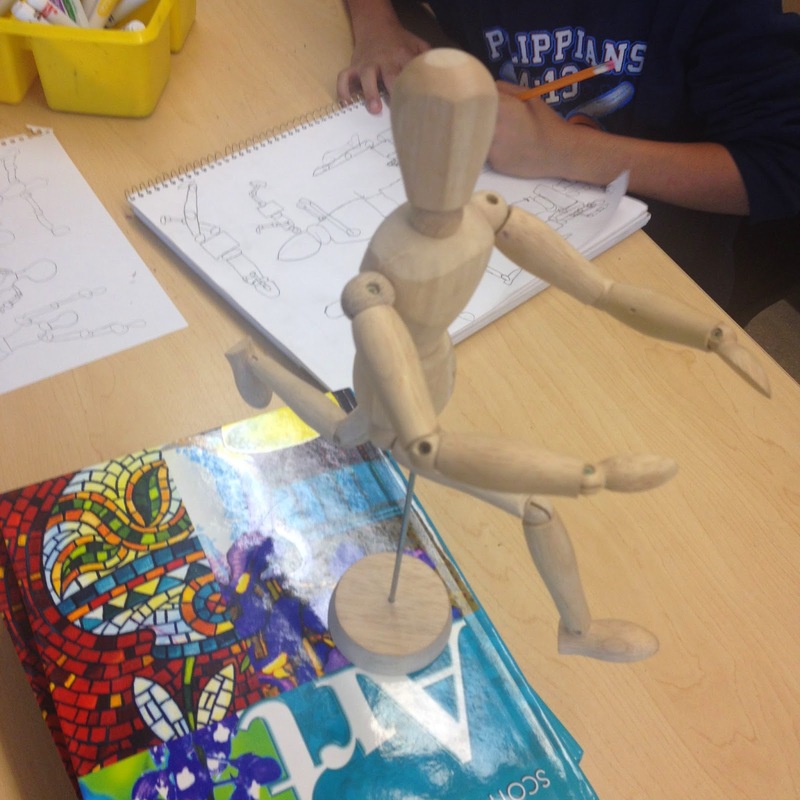 Strike a pose and draw! 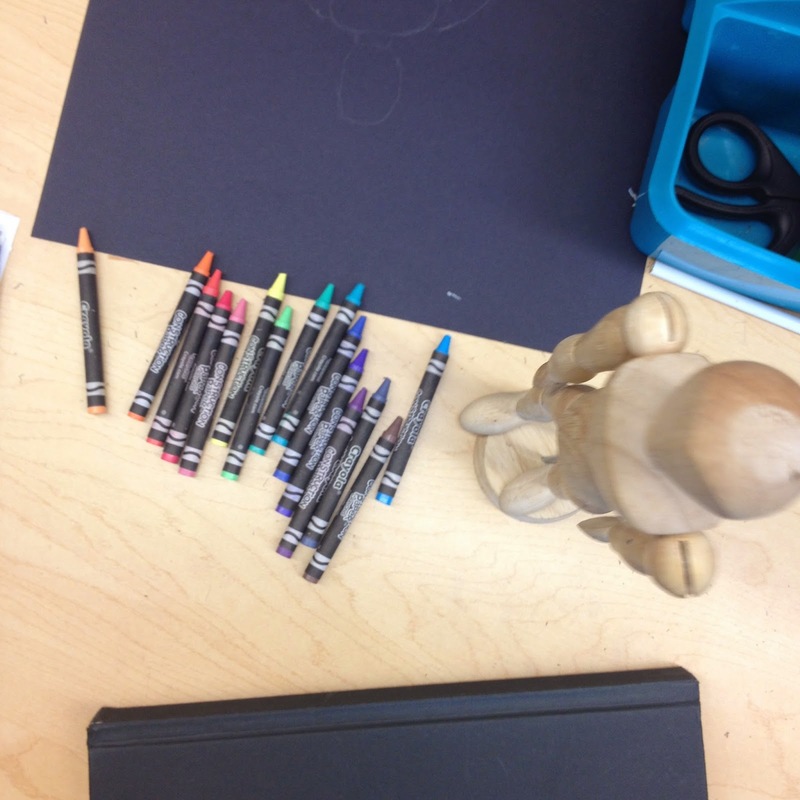 black paper to make our colors really pop! Do you have requirements like poster contests or other things that you have to do during your school year? Share your ideas and thoughts below! Friday Fun: The Mystery of the Missing Mural! 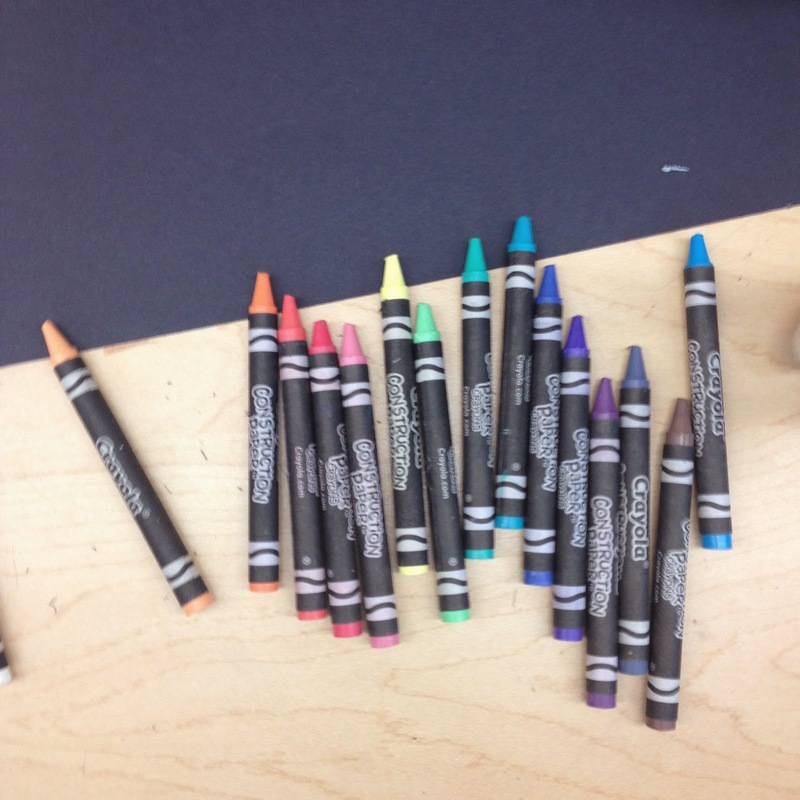 Monday Mayhem: Radial Symmetry Color Wheel!